According to builder and LEGO steampunk legend V&A Steamworks, he was overdue for a MOC on Flickr. What a coincidence, we were overdue to feature a build by Guy here on BrickNerd, so it all worked out. Mr. 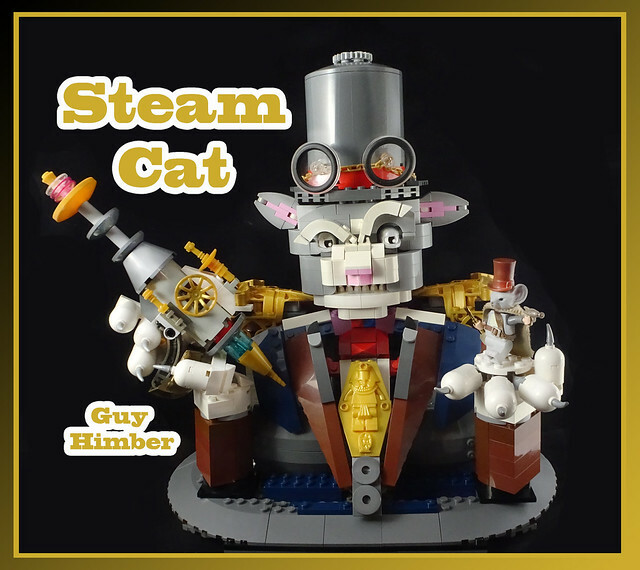 Steam Cat and his mouse partner here look like they're ready for some mischief and adventure, and I'm ready to enjoy the antics.